As more people make the connection that food intolerances might be causing their unwanted symptoms, food sensitivity tests have become much more popular, and more and more companies are releasing them. While I’m glad that more people are learning about food sensitivities and how food affects the way we feel, I’m concerned about how many people are unnecessarily taking food sensitivity tests, misusing them, wasting money on inaccurate ones, and misunderstanding what the results mean. 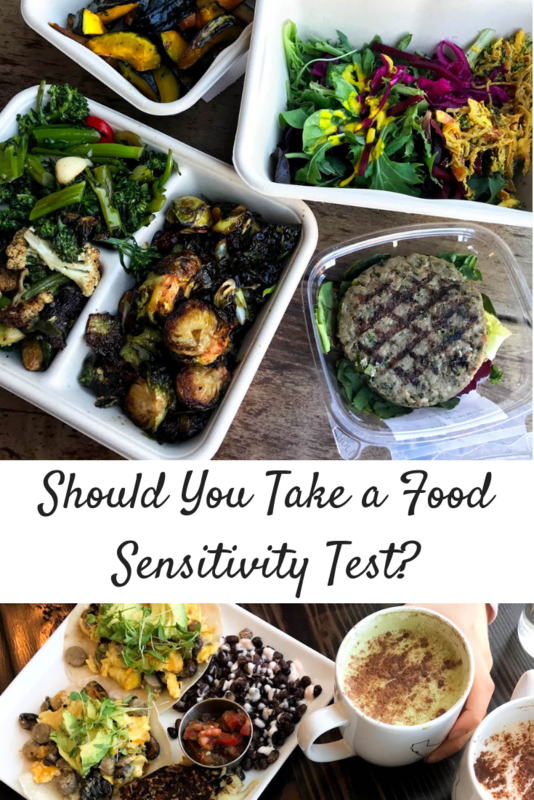 I get asked about food sensitivity tests all the time, so I wanted to put all of my thoughts regarding food sensitivity tests in this post. Should you take one? Which one? Why or why not? I want to start off by saying that personally, I am a huge fan of and strong believer in the right food sensitivity test. I think that a high-quality food sensitivity test can provide vital information to greatly improve someone’s results on a protocol to improve their health. In the context of gut health, someone’s results will be much better if they remove all of the foods triggering inflammation in the body for a period of time. That’s why food sensitivity tests are helpful – they help you discover what is causing underlying inflammation in your body, even if it’s from a food you never would have expected. 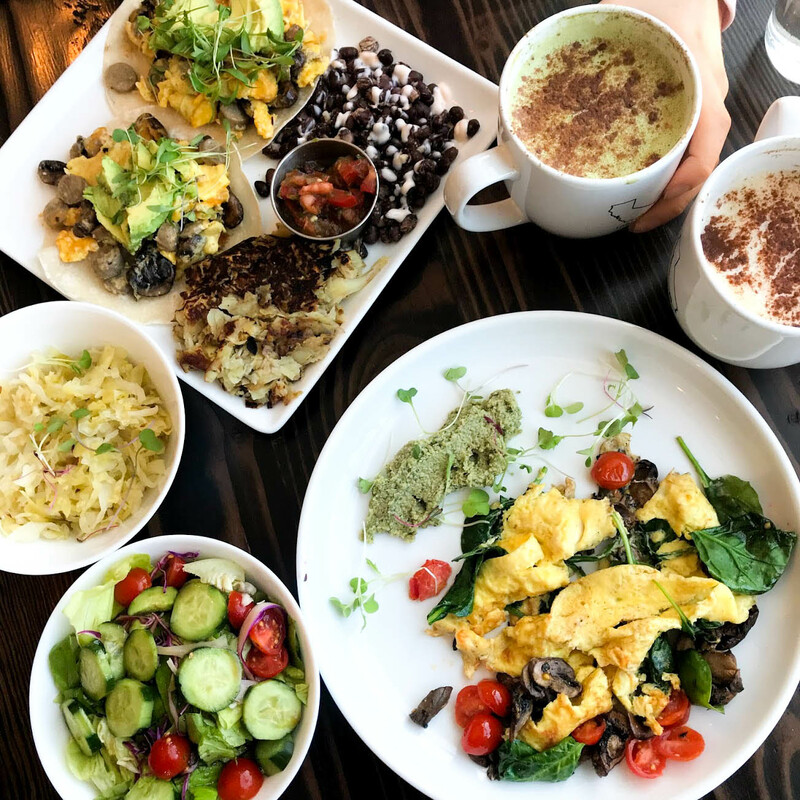 If someone has removed the main offenders – gluten, dairy, corn, soy, sugar, and potentially nightshades – but their diet is still giving them symptoms, it’s probably from a seemingly “random” food that they eat every day. This is an example of how healthy foods might not be healthy for your body, at a particular time. Food sensitivities develop in conjunction with leaky gut and / or gut dysbiosis. You can read more about how leaky gut causes food sensitivities in this post, but I’ll summarize here. When you have intestinal permeability, food particles can enter the bloodstream when they’re not supposed to, rather than staying in the digestive tract. This creates inflammation in the body, because the body recognizes those molecules in the bloodstream as foreign invaders. This is why, when someone has a leaky gut, the foods that they’re intolerant to are usually the foods they eat most often. If you eat broccoli every single day and have intestinal permeability, then maybe broccoli molecules are getting into your bloodstream every day, and the body tries to attack that “foreigner” over and over, building up antibodies against it – it starts to always see broccoli as the foreign invader. From that, a sensitivity to broccoli might develop. That sensitivity can manifest in a variety of ways. Maybe it’s acne, eczema, brain fog, bloating, constipation, headaches, anxiety, or depression. On the other hand, it might simply be causing internal inflammation in the body that you don’t notice on the surface, which would make it hard for someone to detect whether or not that food is causing their inflammation. It’s easier when you realize that every time you eat a nut, for example, you get a zit the next day, but it’s almost impossible to tell if consuming a certain food is negatively impacting the healing process if it doesn’t manifest itself in an overt way. Sometimes foods show up that the person rarely ever eats. Sometimes these really are just randomly causing inflammation in the body, but sometimes these are the more longterm intolerances that probably won’t go away. If the person doesn’t eat those in general, though, it tends to not really matter. When the food is something the person eats regularly, though, this logically makes sense. 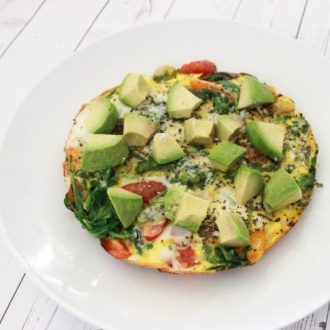 While those foods are harder (emotionally) to remove from the diet for a particular time, it can make a huge difference in helping reduce inflammation enough for the rest of the gut-healing protocol to really work. I’ve noticed from personal experience and from working with clients that gut-healing protocols that utilize the results of a high-quality food sensitivity test are much more effective than those without. This is because the food sensitivity test catches foods that they might otherwise think are “safe.” If you don’t realize that you’re consuming a food every day that is causing inflammation, then your body might be so busy “fighting” that food that it can’t use all of its resources to address the underlying root issue. It’s like mopping a house with muddy shoes on. So yes, food sensitivity tests are incredibly helpful, but there are some MAJOR caveats to this. Only use a food sensitivity test if…. The first point I want to make is that a food sensitivity test shouldn’t be done unless it’s in conjunction with other testing. Most food sensitivities that people are looking for on these tests are not the “big offenders.” You don’t need to pay hundreds of dollars for a test to tell you that gluten, dairy, corn, soy, or sugar are giving you issues. You also really don’t need a test to tell you if nightshades, nuts, seeds, or eggs are causing you problems – these are all common food intolerances that your own elimination diet could easily clue you in on. If your symptoms warrant getting a food sensitivity test beyond what an elimination diet could help you with, then there is an underlying issue. In that case, then you should be getting a stool test (and potentially hormone tests, too) to figure out what the underlying dysbiosis is so that you can address the root problem. Remember, food sensitivities develop when your gut health is compromised, so you have to heal the underlying gut problem if you want the food sensitivities to permanently go away. The point of removing the foods you’re sensitive to is to allow the gut to heal. If you’re doing nothing to heal the gut, there is no point! While a stool test can definitely be useful without a food sensitivity test, it is my opinion that a food sensitivity test should never be taken unless it’s taken alongside a stool test. If you do take a food sensitivity test without a stool test, then what is removing those foods going to get you? Maybe temporary relief, but our food sensitivities are always changing. You might just develop other food sensitivities after changing your diet, because you haven’t healed the underlying dysbiosis. If you want your food intolerances to actually go away, then you need to address the underlying problem, which a stool test will reveal. Maybe it’s a bacterial overgrowth, parasites, or yeast overgrowth. In the case of SIBO, then a breath test will indicate that – but your practitioner will guide you to this. In sum, best case scenario is to take a stool test in conjunction with a good food sensitivity test, or to just take a stool test without the food sensitivity test. 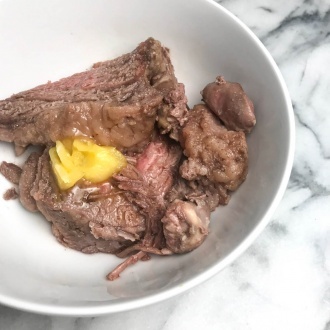 In my eyes, a food sensitivity test without a stool test is a waste of time and money – because removing those foods from your diet is just symptom management for the time being. Will you just keep those otherwise healthy foods out of your diet forever? What will you do when you start noticing symptoms from the foods that didn’t used to cause you problems? Just keep taking food sensitivity tests over and over again?! Most food sensitivities are temporary, as a result of the underlying gut problem, so if you address the underlying gut problem, they’ll most likely all go away. Any sensitivities that remain are usually “real” sensitivities, but most people don’t have many of these. The appropriate plan of attack is to take a stool test and food sensitivity test, go on a protocol for a few weeks or a few months to address the underlying gut issues while removing the foods indicated by the food sensitivity test, and then to add the foods back into your diet systematically after the gut-healing protocol is over and the root issue has been addressed. 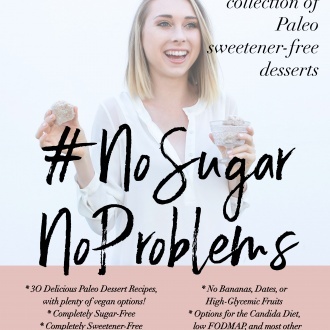 I want to explain to you how all of this works, but the truth is that if you’re taking a food intolerance test that’s actually worth paying for, you probably won’t run into this issue anyways, because you’ll be working with a practitioner. The only food intolerance tests I would even consider are two that have to be run by practitioners, who will always have you do a stool test in conjunction with the food sensitivity test if they know what they’re doing. This brings me to my next important point – which food sensitivity tests are legitimate. It’s important to remember that NO food sensitivity test is 100% accurate, but there are some that are much more reliable than others. Personally, there are only two I trust. Which food sensitivity tests do I trust? My favorite food sensitivity test, and the one I always trust, is the MRT. The MRT stands for the “Patented Mediator Release Test,” and it works differently than other food sensitivity tests. The MRT is able to detect sensitivities in both symptomatic and asymptomatic populations because it is measuring proinflammatory and proalgesic mediator release from white cells. Food-specific IgG or immune complexes aren’t always linked with inflammation or symptoms, but those symptoms and inflammation are always linked with mediator release in the body. This includes the release of cytokines, histamine, leukotrienes, prostaglandins, and more from monocytes, neutrophils, eosinophils, and lymphocytes – any of these can produce inflammation that will be picked up by the MRT, whereas most other food sensitivities do not measure that mediator release. Instead, most other tests are looking for IgG immune responses to foods, but this misses the mark. Sometimes your body produces an IgG response to a food but you don’t actually have any symptoms (in which case you’re removing a food unnecessarily from your diet), and in other cases your body doesn’t produce an IgG response specifically to a food, but it’s still causing inflammation in the body by another mechanism (in which case that food sensitivity test will not pick that food up as a threat to your body, so it won’t show up on the test). 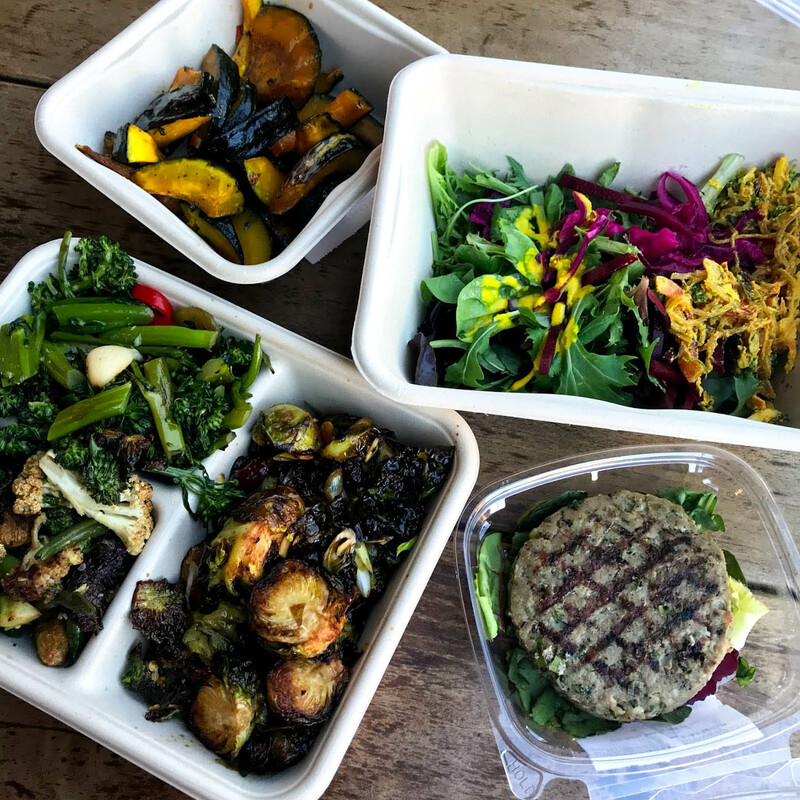 This is why the MRT is my favorite test – it looks at what foods are actually causing inflammation in the body by a variety of different mechanisms. You also don’t need to have eaten a food recently for it to show up on the MRT, unlike other tests. With food sensitivity tests that look at your IgG response, the food might not show up even if you are intolerant to it if you haven’t eaten it recently enough. In addition to foods and spices, the MRT also checks for sensitivities to chemicals, which is very helpful. Logically, that is why I trust the MRT, but I’ve also seen it work so many times (personally and for others), that experience also has taught me to favor the MRT. I consider the MRT to currently be the most accurate test available. That doesn’t mean it’s infallible, but it is definitely the one test I trust, personally. If someone doesn’t have access to the MRT, my second favorite test is Cyrex labs, which tests for both IgG and IgA food intolerance responses. They have the best methodology, in my opinion, for IgG and IgA testing, and if you’re not taking the MRT, it’s important to test for BOTH IgG and IgA – not just IgG, like most at-home tests. Cyrex triple tests each sample, and they test for both raw and cooked foods. I’ve actually personally taken the MRT and Cyrex at the same time before, and the results were very similar, but the MRT picked up more foods. I’ve done two protocols just following the Cyrex food recommendations, and felt a little bit better, but not really a huge difference. I’ve also done two protocols following just the MRT recommendations, and I noticed a big difference. That’s just my own experience. I take every food sensitivity test with a grain of salt, but I trust the MRT the most. If someone is determined to take a food sensitivity test that’s not the MRT, I recommend Cyrex. When clients come to me with any other test that their practitioner has given them, I ignore it. I certainly do not know everything, and maybe there is another test out there that’s even better, but this is my opinion after having researched and tried as many tests as I could (and I will continue to do so). Food sensitivity tests are not cheap, and I hate to see people wasting their money. I’ve seen a lot of different food sensitivity tests before – sometimes it shocks me how many are out there! The problem is that there are a lot of scams, which is very sad to me. I just want people to be aware, because food sensitivity tests are expensive, and there are many companies who are taking advantage of people who are simply trying to improve their health. It probably goes without saying that there is no at-home test I would recommend. Even without doing any research, I don’t trust a test that only checks for the IgG response, and I don’t trust tests that get their analysis based on a fingerprick at home. It’s not a big enough sample, and the blood hasn’t been centrifuged. I’ve chatted before about my experience with the Pinnertest, and also talked about other at-home tests, and I wouldn’t recommend any of them. I do know that when I took the MRT, Cyrex, Pinnertest, and two other at-home tests I was sent but don’t remember the name of, all in the same week, here’s what happened: the MRT and Cyrex had overlap, but Cyrex didn’t pick up as much as the MRT, and the three at-home tests had nothing in common with either of those tests or each other. Not taking a food sensitivity test is better than taking a bad one, in my opinion, because the results of a food sensitivity test can definitely affect people psychologically and increase anxiety around food. If you believe you react to certain foods, you will. So there is no point in taking an inaccurate food sensitivity test that might actually start causing you to have a reaction to foods when you otherwise wouldn’t. It’s also a shame to see people avoiding otherwise healthy foods when they have no reason to! If I see one more person avoiding broccoli because their at-home test said they’re intolerant to it, I’m not sure what I’ll do. Food sensitivity tests are meant to be used as a tool, not as a hall pass to restrict your diet. Keep in mind that our food sensitivities change all the time. No matter who you are, the foods that show up on your food sensitivity test today will be different than what shows up on a test you take 4 months from now. So if you’re going to remove foods from your diet based on a food sensitivity test, go in with the intention of removing them for a certain period of time, and then try to reintroduce those foods after you’ve healed your gut. Also, make sure that you take the food sensitivity test around the same time as your stool test! Now that you understand my “why,” let me conclude with my overall thoughts. I think that a food sensitivity test should only be taken in conjunction with a stool test, and never on its own. If you can only afford the food sensitivity test OR the stool test, I would 100% go with just the stool test. And if you’re taking a food sensitivity test at all, I recommend the MRT, Cyrex, or just saving your money. Again, this is just my opinion. The MRT and Cyrex tests have to be done through certain practitioners. Many functional medicine doctors offer these, as do functional diagnostic nutritionists. For the MRT, you can also look for a Restorative Wellness Practitioner, who is trained to do this testing. I am not one of them, but you can find NTPs and other holistic nutritionists who have this certification. Stool tests can also be ordered through the same types of practitioners just mentioned. I prefer the GI Map, Genova, and Doctor’s Data stool tests. Not all stool tests are the same – but that’s for it’s own post. You also have the ability to order stool tests yourself through services like directlabs.com, which allows you to run a number of tests without a lab order from a doctor (this is a useful resource, in general, for bloodwork!). If you do use that, you can search “comprehensive stool” to find the test I like, which is called “Comprehensive Stool Analysis w/ Parasitology x3 – Doctor’s Data Kit.” This is a 3-day stool test that also tests for parasites. While this is incredibly useful, the downside to ordering a stool test on your own is that you won’t have anyone to interpret it for you unless you are also working with a practitioner who can, so you might get your test back and have no idea what it means, which isn’t very helpful. This is why I recommend getting your testing done with someone who can also interpret it for you – a trained practitioner. Are food sensitivity tests the only way to go? Do you NEED them to have an effective protocol? In some difficult situations, maybe it is an important piece, but in general, no. I consider food sensitivity tests like the MRT to be a luxury, not a necessity. I’ve seen plenty of effective protocols without the use of a food sensitivity test. In that situation, though, I do encourage the person to try to listen to their body and at least remove the foods they intuitively know worsen their symptoms. If you notice that certain foods give you acne, bloating, fatigue, brain fog, skin rashes, or you feel particularly addicted to them, it might be time to drop those foods for awhile. If you have more severe symptoms and can’t take the MRT, it might also be time to follow a stricter anti-inflammatory healing diet, like AIP, SCD, or GAPS, during the healing process. Again, I recommend working with a practitioner to guide you through this. While I do find the MRT to be incredibly helpful, and really do love that test, remember that no test can tell you how your body feels. I also don’t want a food sensitivity test to be the first thing people turn to when they have symptoms – the first thing you should turn to is getting to the root of the dysfunction by working with a practitioner (and there is plenty you can do without any testing, by the way – I don’t test with clients!). I worry that people get too “test happy” rather than listening to their own bodies in general. If you get bloated and nauseous every time you eat a certain food, you would be silly to continue eating it even if it did not show up on a food sensitivity test! There is a lot that can be discovered just by truly tuning in to how your unique body responds to foods, and honoring that. If a food intolerance test tells you that you react to 10 different foods, but you feel great all the time and all of your health markers are positive, then would you really take out those foods for no reason? At the end of the day, what matters most is how you feel.